Flood Tapestry Panel – It’s all coming together! We are excited about our final workshop session for 2017, where has the year gone? It will be held here at Quaker Tapestry Saturday 7th Oct 1pm – 4pm. During the session we will update on ideas for the final piece and show how to pull it all together. 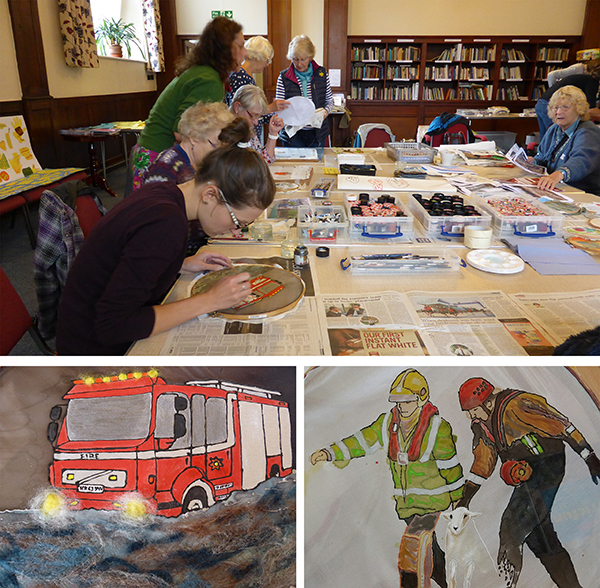 We will also be continuing with some silk painting, embroidery and needle felting. Please don’t be put off if you haven’t used these techniques before as we will have experts on hand to guide and support you every step of the way. It’s fun to try new things! As usual all art materials will be provided along with hot drinks. In this final session for 2017 we will be bringing together the design and creations, shaping what will be the final tapestry panel. It will be an uplifting, hopeful and rewarding experience for all. For those attending the workshop there will be free entry to Quaker Tapestry exhibition for the duration of the workshop, so you can draw influence from Quaker Tapestry itself. We hope to see you next Saturday, if you are unable to join us please help by spreading the word and sharing this blog. What is The Flood Tapestry Panel? 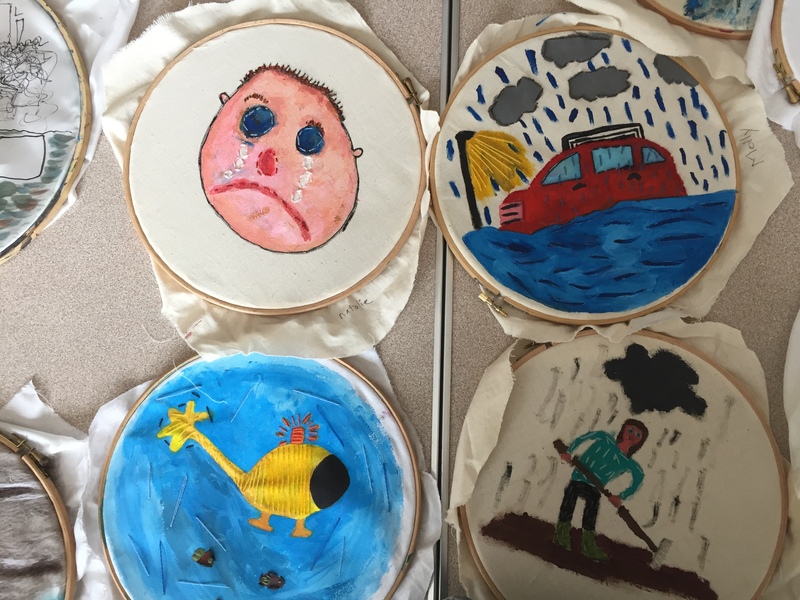 It is a project to create a wall hanging and stitched story of the Kendal Floods and the resilience of the community, is a project to record the events that occurred when Storm Desmond hit Kendal in December 2015 and much of the town was flooded. Anyone can contribute to the community project regardless of their crafting or artistic ability as the stories people have to tell are just as valuable to this project. We aim to audio record recollections of the strength of our community in the aftermath of the flood so please come along if you have a story to share. Informal and fun workshops have been run throughout the year, suitable for all the family, run by textile artist Donna Campbell.